As someone who spent nearly 20 years buying singles for a living and many more doing the same thing on the ‘Amateur Circuit’, I still mourn the demise of the physical single, and in particular the glorious multi-track CD single, invariably packed with an array of ‘never listened to’ remixes by Bimbo Jones, Tin Tin Out or the late Tony De Vit. I’ve got a sneaky feeling I may not be the only one. In recent years, with physical CD single releases reserved for charity records, X Factor winners and boy bands keen to make sure they’ve wrung every penny out of those little ‘Hello Kitty’ purses – I really should invest in a proper wallet one day – many artists have struggled to maintain a consistent presence on the UK singles chart. Even those with a dedicated fanbase like Pet Shop Boys, Depeche Mode and Kylie, who are still keen to release multiple singles from a new album and enjoyed a near perfect hit rate prior to the phasing out of physical singles, struggle to crack the top 40, let alone the top 10. Just ask Madonna. In the pre-digital age, she scored more than 60 top 10 singles – even managing to get that god-awful cover of American Pie ( !!! – ed.) to no.1 – but not even the most talked about tumble since Humpty Dumpty could push Living for Love higher than a no.26 chart peak. When you consider the physical singles market plummeted from 78 million units sold in 1999 to just over a million in 2009, it really makes me wonder what it is I’m spending my money on these days. 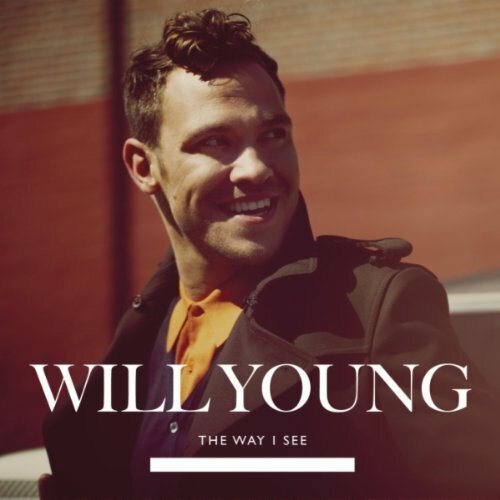 Inspired by Into the Popvoid’s Top Brass Mr Niall McMurray’s dismay at the phenomenon of free downloads, and to celebrate the imminent release of his new album 85% Proof, my subject today is another artist who may just have an opinion on the death of the CD single, Will Young. Will Young had the dubious honour of being the winner of the UK’s first major ‘search for a superstar’– we don’t count Sheena Easton and The Big Time in our house, because we know the raw talent and sheer determination of that plucky young lady meant she would have definitely made it on her own…or so this press release from 1980 would have us believe – and it would seem he’s spent the last decade trying to shake off the perceived stigma, having to prove himself all over again with every new album, in a way Robbie Williams and recent upstarts such as Olly Murs have never had to. Will started his chart career with an unbroken run of 10 top 15 singles – from 2002’s double ‘A’ side Evergreen/Anything Is Possible to Changes in September 2008. The later was the first single lifted from his 4th album Let It Go, and by the time the title track was released as the album’s last single, Will had announced via his website that it would be his final CD single release. When Will returned a couple of years later with Echoes, singles were experiencing a bit of a renaissance, although the sales split was now more or less 99% digital tracks and 1% physical. While the first single from the album, Jealousy, enjoyed a decent chart run – top 5 and 24 weeks in the top 100 – subsequent singles failed to crack the top 70. As good as both those songs are, my tune of choice is The Way I Feel, a non-album track given away free by Amazon UK. Co-written with Pascal Gabriel (S’Express, Bomb the Bass, Dido, Erasure) and produced by Richard X, The Way I Feel was only excluded from Echoes because it was considered slightly at odds with the album’s overall tone. Up-tempo, unexpectedly retro and absolutely joyous, it’s the type of feel-good pop-dance track which gave countless faceless and forgettable Should’ve Been One Hit Wonders like Haddaway, Corona and 2 Unlimited brief careers in the 1990s, and has a wondrous whiff of Felix’s Don’t You Want Me and Alex Party’s Saturday Night Party about it. Will’s new single Love Revolution is a similarly up-beat and uplifting song, which incidentally features a rather effective vocal reference to Tomcraft’s 2003 no.1, Loneliness. If you’ve got better things to do on a Friday night and miss the new UK Singles Chart rundown, check back here in a couple of months and see if that particular gem has fallen Into the Popvoid or not. Who could sing this today and have a hit? – I’m pretty sure Clean Bandit or Rudimental could add the required sparkle to get it into the top 10, and with a few slices of Will’s original vocals sampled on top they wouldn’t even have to bother asking Emeli Sandé.